If your work ” forces ” you to frequently use a PC, especially on a graphic level, we are sure that you are not among the people who are content with a mediocre screen. Whether you’re a photographer or you often have to edit videos, the greatest need is for images reproduced on your computer to be as faithful to reality as possible. 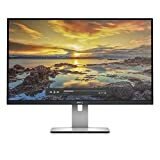 Precisely for this reason today we will analyze the best monitors for photography and video, so as to give you a choice in this otherwise chaotic market. Just as your equipment must be able to capture the scene in the best possible way, even the screen you intend to use must do the same thing. Of course, this means putting the cheaper models aside. But take it as an investment in your future. When selecting a monitor for photography and video, the selection must be particularly strict. Otherwise, the risk is that you find yourself with a product that goes to make the previous work worse. Precisely for this reason in the next lines we will propose some essential characteristics in the choice of a screen suitable for your purpose. Dimensions : dimensions are a very subjective factor. Of course, the screen is bigger, the more details you can capture during image processing. Our advice is to never go below 24 inches if you use it in the workplace. In case of ample space available, you can climb up to 32-inch models. Vision ratio : there are different types. The most comfortable to use in photography is undoubtedly the 16:10, which maintains the natural relationship of the shots and allows you to easily use the programs for post-production. Viewing angle : This feature is nothing more than the viewing angle of the monitor. The more the image remains faithful as you move sideways, the greater its value. This allows you to capture all the nuances of a shot from any angle you look at the screen. Space and color depth : a digital image will never have absolute color fidelity. This is why it is essential that the colors reproduced are as similar as possible to the originals. This is evaluated with the sRGB range, which should never be less than 95% in a quality monitor. The same is true for the color depth, which must be 10 bits to be high enough. Resolution : is given by the number of pixels that make up the screen. For monitors up to 27 inches the Full HD can be more than enough. As the diagonal increases a growth of the resolution should correspond. The most suitable for screens for photography and video is 4K. Brightness : this feature does not need too many presentations. It is essential to know that a good LCD should never provide values below 300 cd/m². Contrast : it is defined as the ability to express a grayscale that goes from white to black in an optimal way. Although it is not a key feature in photography, having deep blacks can always be aesthetically pleasing. Response time : expressed in ms, it indicates the time a pixel takes between turning it on and off. Very important if you work in the video industry, if the response time is high, you will notice little trails when playing movies. After this brief explanation, it is time to move to the heart of our article. In the next paragraphs, we will show you the best monitors for photography and video. 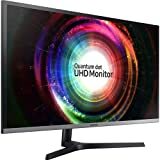 If you want to choose a monitor for photography that does not cost a lot but has good features, Dell has put in place the right solution for you. Integrates a 24-inch screen without side edges, with Full HD resolution. Its aspect ratio is 16:10, so perfect for your purpose and has sRGB equal to 99% width. It will not be the top model for professionals, but its qualities make it a must for amateurs. It is one of the sacred monsters among the best monitors currently on the market. Designed for gaming, thanks to its technical characteristics it is also perfect for photography and video. It also has a truly enviable quality / price ratio. Equipped with an LCD panel, with a diagonal of 24 inches, it has a Full HD resolution. The response time is 1 ms, and the technology used for the screen is TN. BenQ offers us this monitor designed specifically for photography. Equipped with a 27-inch screen is adjustable in height to always allow an optimal view. The resolution, very high, stands at 2,560 × 1,400 pixels, so you always get high-quality images. Even the width of the color is suitable for use, with a percentage on the Adobe RGB scale of 99. To make matters worse, this screen was awarded the TIPA 2016 award, dedicated to the best monitors for photography. This Samsung monitor has features that make it suitable for semi-professional use. The first feature that surely catches the eye is the diagonal, of 32 inches. If this was not enough, the panel type Quantum Dot has a resolution of 4K. Surely the many incoming ports make this monitor also perfect for use in multitasking, which will allow you to work easily on multiple windows. The response time is instead of 4 ms, while the refresh rate is 60 Hz. We’ve already seen a really interesting monitor from Dell. This is on a higher end and aims a lot more on substance than design. Equipped with a diagonal of 27 inches, returns a resolution of 2,560 × 1,440 pixels. Its strength lies in the balance of the image, which never turns to different results from the original. To underline the panel coating with anti-reflection technology with 3H hard coating. If it were not a monitor specifically designed for photography, you would probably consider the look of this product anachronistic. In reality, the quality is really high and complements particularly interesting solutions. The screen has a diagonal of 27 inches, with a WQHD resolution and a color width of 99% on the Adobe RGB scale. Those who take a lot of photos will certainly find the memory card reader integrated on the left side very useful. In this way, transferring your images to the PC will be really easy. Adjustable inclination helps make work even smoother. After presenting you what we believe are the best monitors for photography and video, we decided to show you some less canonical alternatives but still of excellent quality. Are you ready to discover them?